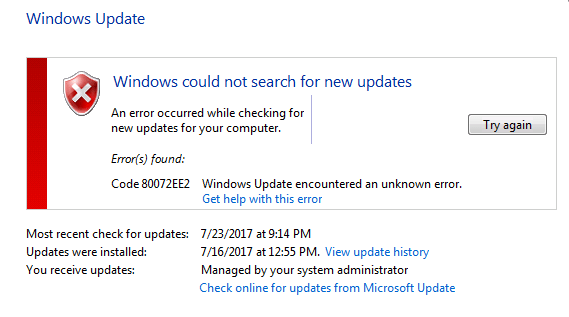 I believe it’s this Windows update (KB4025336 – 2017-07 Security Monthly Quality Rollup for Windows Server 2012 R2 for x64-based Systems) that caused the issue. 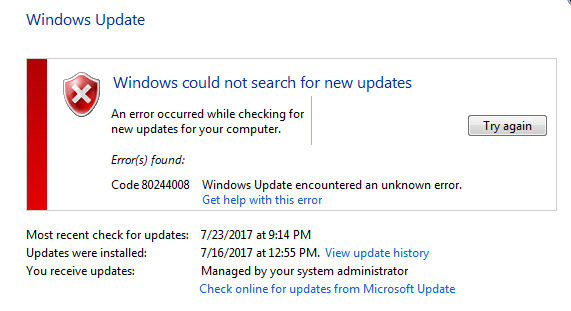 Basically, if your WSUS service is running on the default port 8530 you will likely have this issue on your network. Obviously, removing the troublesome KB4025336 should be able to rollback the WSUS server to the last working state. 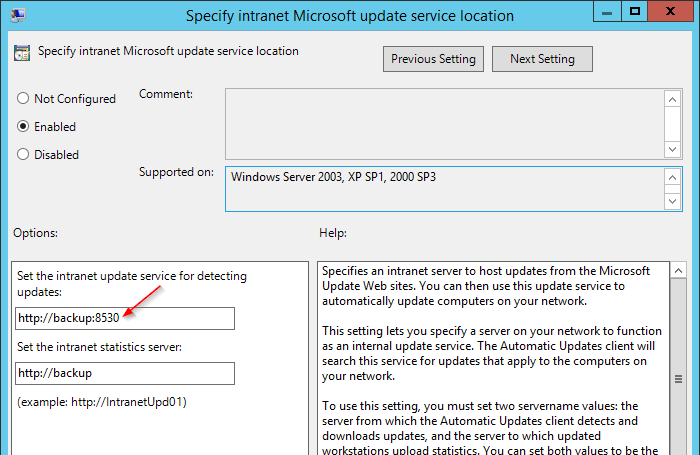 But if that’s not the option, you can also run the following commands to reset WSUS’ IIS port. Check the Group Policy setting and specify the port number in the following group setting. Now everything should be back to normal now.